Have your business development plans been stagnating or fallen flat lately? The economy is heating up but your pipeline is still missing the higher quality prospects you want? Can social media really help us to win new and better business? Why do we always seem to be ‘reactive’ in engaging with our prospects and current customers for new business opportunities? 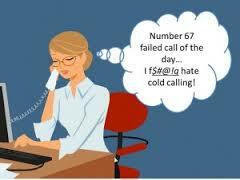 Is cold calling wearing you or your sales team down? In this webinar Sean Stroub from Cross Points Consulting Group will review the basics of using Social Selling via the Nimble CRM system to answer many of these questions. The webinar will focus on companies providing maintenance, facility & construction related services, but will apply to any business providing B2B services or sales.